Whether you’re a busy professional looking to dress for success or a busy mom looking for functional style, I am here to help! Having worked in the corporate world for nearly twenty years, I know what it’s like to dress for the job you want. With the ever-changing office dress codes, you want to look your best so you can perform at your highest potential, even in an office casual setting. As an entrepreneur, wife, and mom of two busy boys, my style has to meet my lifestyle needs. 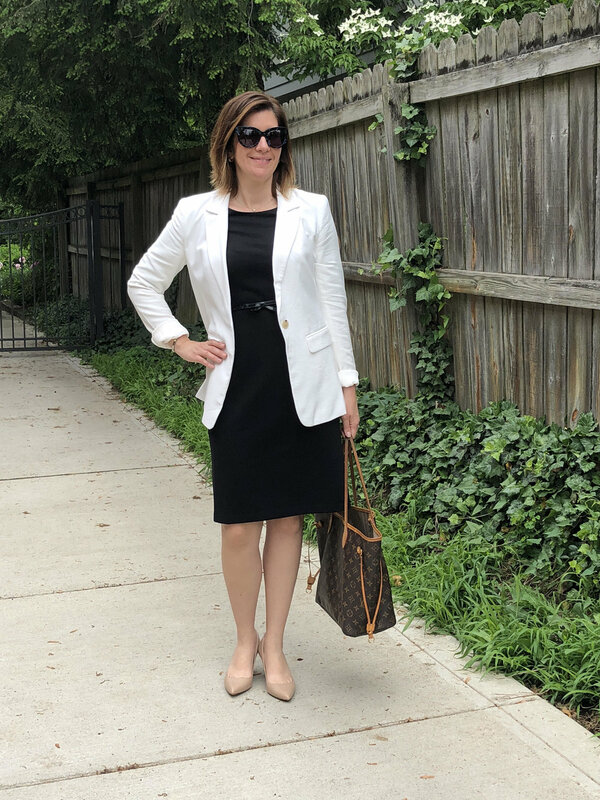 Whether I'm heading to a hockey practice, school meeting, or client meeting, I need a wardrobe that has me feeling confident and at my best, no matter what the day brings along. As a fellow Working Mom, we have one thing in common. We tend to put ourselves last, prioritizing our family and work first. Before we know it, we are wearing the same uniform to work and at home, devoting very little time to self-care and our appearance. You deserve to take a time-out to focus on YOU, your style, dressing for your shape and for your lifestyle. When your appearance matches your inner beauty, you can do anything! So, take the next step…You can do this. I am here to help! Together, we can transform your wardrobe and image to live your best life in style.